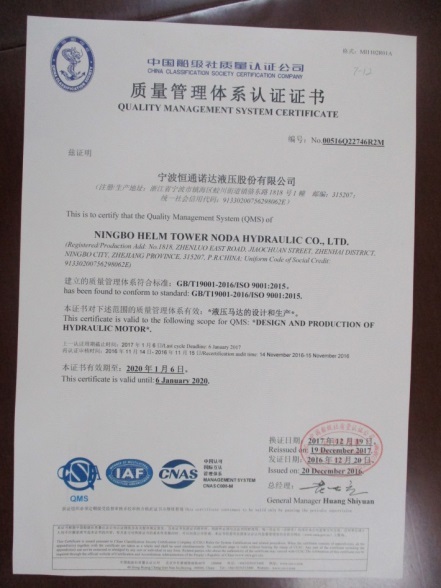 Company Overview - Ningbo Wenkui Hydraulic Manufacturing Co., Ltd.
11YRSNingbo Wenkui Hydraulic Manufacturing Co., Ltd.
Ningbo Helm Tower Hydraulic Technology Co., Ltd (Previously named Ningbo Wenkui Hydraulic Manufacturing Co., Ltd. ) is a subsidiary factory belongs to Wenkui Group Company. Which is a professional designer, manufacturer and exporter enterprise for MS hydraulic motor, MCR hydraulic motor,HVK,HVL,HVN series vane motor and all kinds of hydraulic system and hydraulic spare parts. 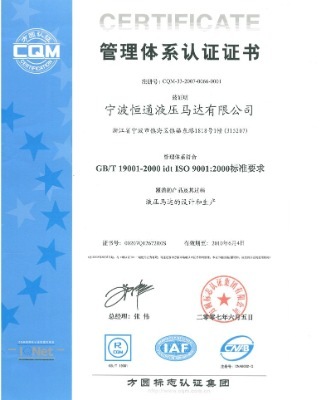 It obtained the Certificate of ISO9001: 2008 and ISO14001: 2004 Quality Management System, CCS certificate, Coal mine work safety License.Our company is located in Ningbo High Technology Zone, Holding $5 million registered capital, covering area is over 10, 000 square meters. 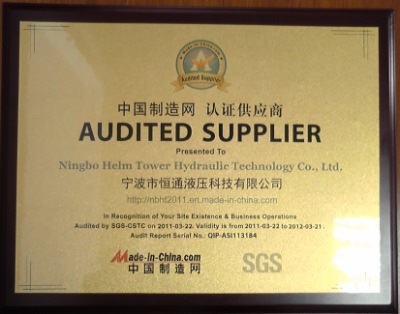 In the spirit of "concentration, profession, innovation" Ningbo Helm Tower Hydraulic Technology Co., Ltd. is dedicated to the research and development of hydraulic system and hydraulic components for long time, our products are widely used in marine, coal mine machinery and project machinery, metallurgy, agriculture, garden, environment protection synchronously and so on. 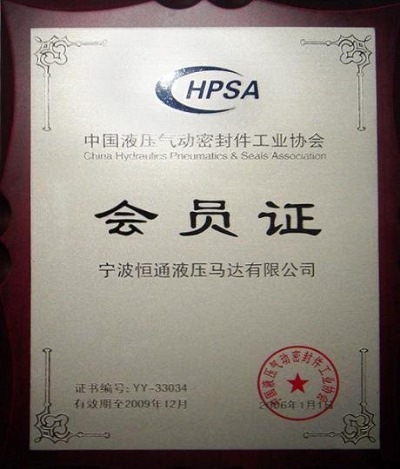 We possesses over 100 high quality technology staff who consist of senior doctor, master, senior engineer, and assistant engineer work in the hydraulic industry for many years which can provide powerful technology and competitive advantage in product D&R, technology support and service, all of those lead to our MS hydraulic motor and MCR hydraulic motor can completely replace same type hydraulic motor of the oversea famous brand,our vane motor with three series of HVK,HVN,HVL total 10 size which can used in ship crane and port crane.which can replace Japan IHI series vane motor.Due to the strong process capability, the quality of main parts processed by CNC can be guaranteed well. 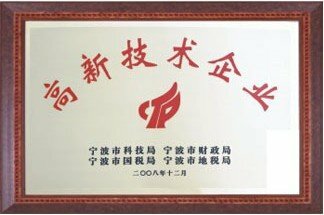 Not only the main parts of our products used high-grade alloy steel material like 20CrMnTi, 42CrMo, but also adopted advanced heat treatment technology including treatment of carbon penetration, quenching, salt bath and nitrogen treatment to promise the product quality, every single part is inspected and every product rigorously tested before it leaves our factory to ensure their unimpeachable standard and quality. After assembly, the whole machine will be tested on our test platform 100%.The key parts such as screw cartridge valves, sealing, and screw bolts all were imported from USA, Germany, Italy, France and Taiwan.We are a group manufacturing company owned more then 10 subsidiary factories. 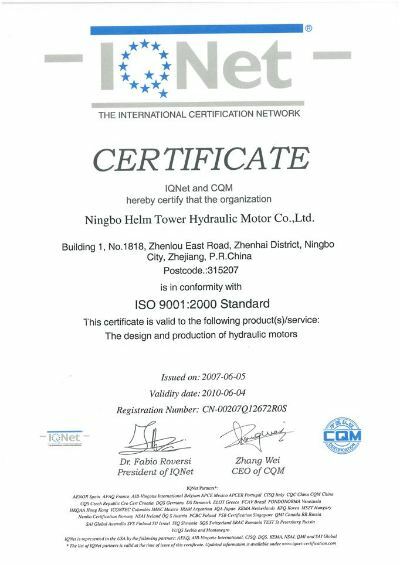 Consisting of head office, Ningbo Wenkui I/E Co., Ningbo Wenkui Hydraulic Manufacturing Co., Ningbo Helm Tower Hydraulic Motor Co., it's located in Ningbo, and other subsidiary factories which specializing in manufacturing orbit motors and piston pumps located in Shandong and Jiangsu province. 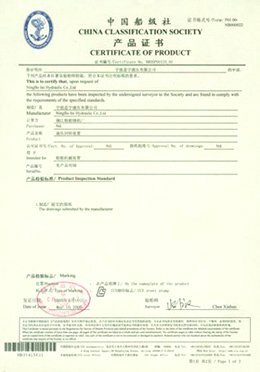 With strict quality management system, advanced produce technical procedure, fine engineering, technical personnel and excellent after service, keeps the products are exported to Europe countries, USA, America, Australia, Middle East, part of Asia and other countries /region which win extremely praise and favor by the customers.With competitive price, excellent performance and prompt delivery, holding the principle of "Exist by Quality, Develop by Credit", we sincerely welcome you to establish co-operative relationships with us in the near future.Warmly welcome to contact us and visit our factories.